Whitehats Design offers value for money animation design services. We are an animation company in Dubai that believes in providing services as per the client’s original idea and help them transform into results as per your business or branding needs. Our aim is to provide our clients with competitively priced and quality services. The numbers of clients that we have served speak volumes about our ability to provide you with high quality animation design services. 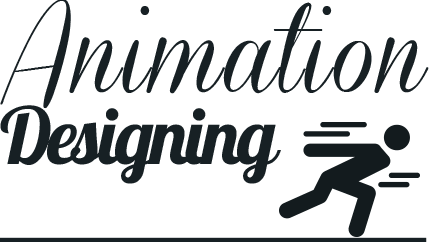 There can be many reasons why you would require animation design services. Some companies want to add animations to their websites in order to improve the organic traffic that they are receiving from the search engines. Other companies on the other hand want videos which would help explain their company’s products or services. The idea is to help you build your brand, provide a definite call to action and provide you with a medium to better communicate with your potential customers. The team of Whitehats Design focuses on understanding your project and optimizing the animations to match your business strategy. The 2D animations are created using the hand drawn sketches. Some people in the tech world also call them classic animations. 2D animation still remains a viable option for companies. Our experienced team of visualizers and 2D artists are fully capable of providing you with high quality animations. Let us help you get 2D animations for all your requirements. 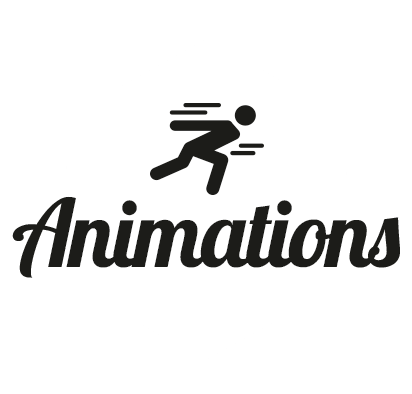 The animations created in 2D will provide users with exciting and realistic experience. One of the best ways to add soul to a story is by getting it developed in 2D animation. We can develop 2D animations using different type of software as per the requirement of the assignment. Flash animations also provide an excellent way of attracting and retaining audiences’ attention online. Many organizations have started using flash animations successfully as an online marketing tool. We can help you build clean and highly polished flash animations. The flash animations provided by us would ensure that all the text and images are provided in a highly professional yet attractive manner. Flash animations, besides adding a flare to your presentations, also help you easily explain concepts that often become difficult to explain in words. Animatics are a display of images in a given sequence. The entire presentation completes with a time counter with background music or sound effects. We also have highly professional and experienced voice over artists for voiceovers. The idea is to make sure that every element of the animatics comes in sync with overall theme decided with the customer to ensure that the entire concept is delivered as per the client brief. We make sure to involve our customers at each stage in order to make sure that they are satisfied with the overall progress and offer any suggestions wherever required. Animated videos provide you with a way to easily get connected with your audience in a lighthearted manner. Animated videos are used by companies for different purposes. Our aim is to provide the information in a crystal clear manner. This includes presentation of everything including designs, concepts, illustrations, and other images in a very concise yet clear manner. We can also help you remake an already created video to make it look more effective. Scribe animations or whiteboard videos have become the norm for many online business organizations. Explainer videos as the name implies are used to explain about something. This may include a product, service or any other concept that you want the audience to know about. We help our customers create top quality explainer vides while ensuring they meet and ideally exceed your needs. Many organizations are using them for teaching purposes to give instructions. Education industry in particularly is trying to revamp its approach towards learning by offering students with more interactive mediums for learning new things. This is the reason why a lot of business organizations and HR departments want to include animated videos. Contact Whitehats Design to know how we can help you get highly targeted and really useful animated videos for e-learning. Whitehats Design animation services follow a process. The aim is to make sure that we follow a certain methodology while taking our customers into confidence. By following each step carefully and taking our customers onboard, we can easily preserve quality and exceed your expectations. The first step in our creation of animations is to determine the type of assignment we are about to undertake. In this process our team gets in touch with your organization to understand your requirements. The idea is to assess the audience, the type of content that you would like, number of slides, and explanations required. This helps us determine the direction that we need to ensure that our team has fully understood the entire concept. Script writing, the second step in our animation or video production, involves writing the actual lines which would go into the video. The aim is to make sure that each slide is brief, to the point and yet delivers the message perfectly well. Modern explainer videos or animations have to be written brief and to the point in order to help derive the best marketing results. After the script has been completed, it is the time to write the storyboard. The idea is to first identify the main idea that needs to be delivered effectively to the audience. The entire storyboard is created around that idea. This involves deciding on the actual UI and how particular parts of the story would be displayed to the audience. Character is the subject or the hero of the story around which everything else revolves. Therefore, we take considerable time and effort to select the main character and the other characters within the story. All the characters are selected based on the fact that they do add a lot of color to the story and help us portray the main idea in a highly impactful manner. Once everything required is put in place, it is now time to produce the actual video. The idea is to make sure that high quality video is created. We develop videos in most common video formats to ensure that they can be easily uploaded, embedded and used anywhere online. By making videos in readily playable video formats we make sure that you can use the videos the way you would like. Voiceover is added after the entire video has been successfully completed. Voiceovers are created in male or female voices as per the requirements. The voice is selected while keeping the characters in perspective. Sound effects are also added after the voiceover. These background sounds or music helps create a pleasant video viewing experience for the audiences. Different types of background sounds or music are available for you to select the one that suits your needs. We can also help you get your video published online. Usually our video creation services do not involve marketing. However, if you ask for assistance, we can help you SEO optimize the videos at some additional charge.